Rocket science often seems to typify state-of-the-art technology. The extreme conditions of take-off, landing and space itself, the exacting specifications of the instrumentation required for rocket control and scientific data collection, and the costs per unit mass for launching the rocket would seem to leave no room for mediocrity. With their enhanced multifunctional properties nanomaterials offer a lot of bang per kilo for missions. Physics World Materials looks at what nanomaterials can offer to protect against the elements in space. To merit incorporation in a billion-dollar space mission, new technologies need to deliver more than just a promise of enhanced functionality. The properties of new materials and the impact of their use on all other aspects of the space equipment need to be reliably defined. As Jamshid A Samareh and Emilie J Siochi from NASA’s Langley Research Center emphasize in a recent review, a key factor preventing greater uptake of nanomaterials in space missions has been a lack of a deep understanding of their behaviour within the complex and sophisticated systems of spacecraft. “The barrier is understanding the measurable benefits over materials that are currently being used – especially when you have to trade risk and cost with current paradigms,” says Emilie Siochi, senior materials scientist in the Advanced Materials and Processing Branch at NASA Langley Research Center in Virginia, USA. As for the electronics used, Meyya Meyyappan Chief Scientist for Exploration Technology at Ames Research Center points out that making sure the radiation tolerance and packaging meet requirements can preclude adoption of “the state-of-the-art”. 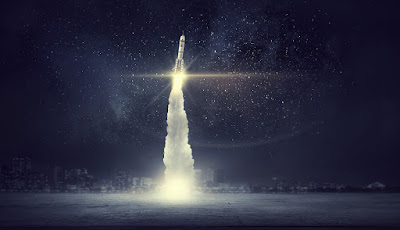 Scaling up production from lab levels to the volumes needed for a rocket can also compromise the nanomaterial properties that recommended their use in the first place, deterring uptake. Despite the overarching caution in space technology the lure remains for harnessing nanomaterials to take on the challenges of blasting free from Earth intact, facing the furnace of take-off and the chill of outer space, as well as the cosmic cocktail of radiation exposure. And there are a growing number of nanomaterials whose manufacture and device application has reached a level of maturity that allows for a valuable contribution in aerospace missions.